Stablecoins are currently the fastest growing sector of the cryptocurrency market, worth $186 billion; these constitute cryptocurrencies whose values are pegged to real life commodities like gold or the US dollar. This is opposed to traditional cryptocurrencies—such as Bitcoin or Ethereum—whose markets are very volatile and can fluctuate by 10-20 percent in the space of a few hours, causing massive uncertainty among investors. Governments across the globe, from Australia to Sweden, are realizing stablecoins’s potential and developing their own, in addition to official blockchain funds which develop GPB and Japanese Yen-pegged coins. There are numerous stablecoins on the market, which fall into three main categories: fully collateralized, partially collateralized, and uncollateralized. Uncollateralized stablecoins are designed to increase and decrease supply in the same way a bank buys and sells its debt in order to stabilize purchasing power. 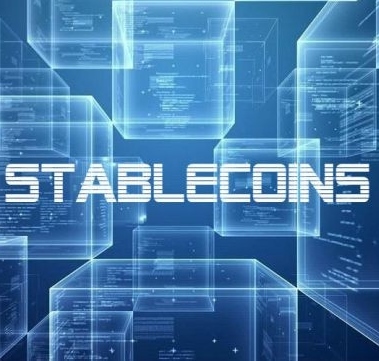 The stablecoin Basis refers to this as having an algorithmic central bank and uses ‘crypto-bonds’ which have attracted criticism for being too similar to the flaws of the traditional banking system. Broadly recognized as the most reliable type of stablecoins, however, are those which are fully collateralized with steady units of value, such as gold or US dollars. The biggest stablecoin currently on the market is Tether, which is backed by the US dollar. They claim to have actual reserves of dollars to back each unit of Tether, although critics point out there is inconclusive proof.